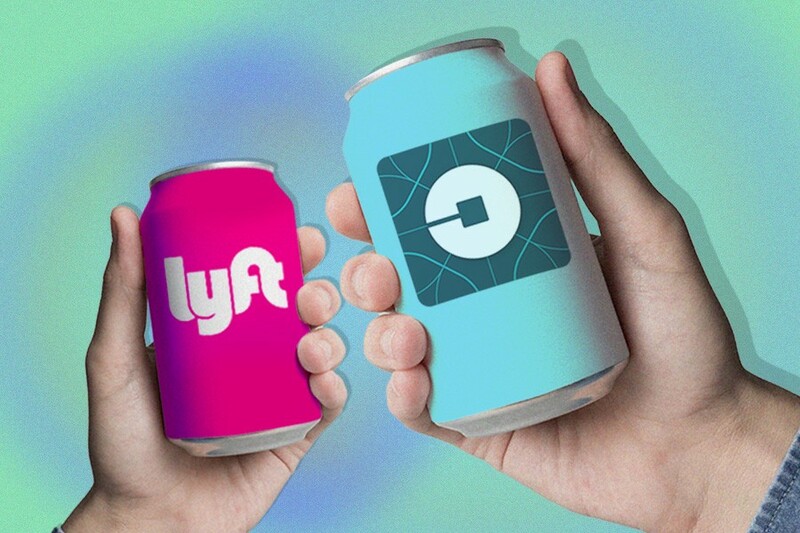 Can You Drink in an Uber or Lyft or What? The whole point of taking an Uber or Lyft for many people is to get somewhere without driving, but to also drink freely without breaking the law. And if you’re hailing one on your way to a show or sporting event or just to meet friends at a bar, or far more likely, on your way home after a tipsy night out, it seems like the perfect way to get your sip on and keep the party going. But is it legal or acceptable to take an open container into the vehicle? The answer is not always clear. Mississippi is a veritable free-for-all: You can actually drink that open container and drive your vehicle as long as your blood alcohol content remains under the legal limit. This means the passenger in those states can, typically but with exceptions, drink from an open bottle in vehicle as long as they aren’t driving it — but sometimes the vehicle can be moving, sometimes not. Sometimes the container can be in any part of the passenger area or in an unlocked glove compartment. But sometime it can only be in a locked glove compartment and nowhere else. Limousines, taxis and other hired cars can purchase a special license to let passengers drink freely in their cars: That’s why you can drink bubbly in a limo on your way to a New Year’s Eve party in some places. But because Uber is a ride-sharing or carpooling service provided by unlicensed and often part-time drivers, it’s not technically the same as a taxi or limo. That leaves us with the last line of defense: the case-by-case approach of checking out your state (and local city ordinances can vary, too), and then the Uber drivers themselves and what they are willing to tolerate. On a Reddit message board asking Uber drivers their take, most seem to say that open containers are not cool, primarily due to the high probability of booze spillage in the backseat, whether it’s legal in that state or not. Some Uber drivers won’t allow it even if the state does because they don’t want spilled alcohol in their car. On the other hand, some Uber drivers don’t know or care about the law and will allow their passengers to drink. To be safe, it would be better to know the laws in the city you are in. I conducted an informal poll of Uber users in the MEL offices in Los Angeles — where open containers are banned — and some people swear they’ve taken open containers in every Uber they’ve ever ridden in and never had so much as a sideways glance. At the very least, you could always ask your driver depending on the state you’re in and go from there. Or, as I’m told, simply take one in and play it low-key. But as move as a society toward the driverless car, there’s a greater incentive in getting clearer answers here. Some 300,000 people drive drunk on a daily basis, according to Uber, which boasts that it has prevented some 1,800 alcohol-related crashes in California since 2012 alone (some stats suggest that ride-sharing may have reduced drunk driving citations overall, too). About one person dies every 51 minutes in an alcohol-related car accident — or over 10,000 people annually. Ridesharing services and driverless car technology are poised to make safe drunk passage home a reality for all of us. Some driverless carmakers have considered a “booze cruise control” to ferry inebriated motorists home. This is a boon for the alcohol industry, because people who know they won’t be driving tend to order and drink more drinks, and Morgan Stanley recently advised that solving this problem is considered a still untapped industry worth billions, at least for liquor sales. Of course, all this hinges on a society that supports the freedom to drink as much as possible while going about your public life. It’s hard to call that a total win, but given that we’re all doing it anyway, it’s worth figuring out how to do it right.